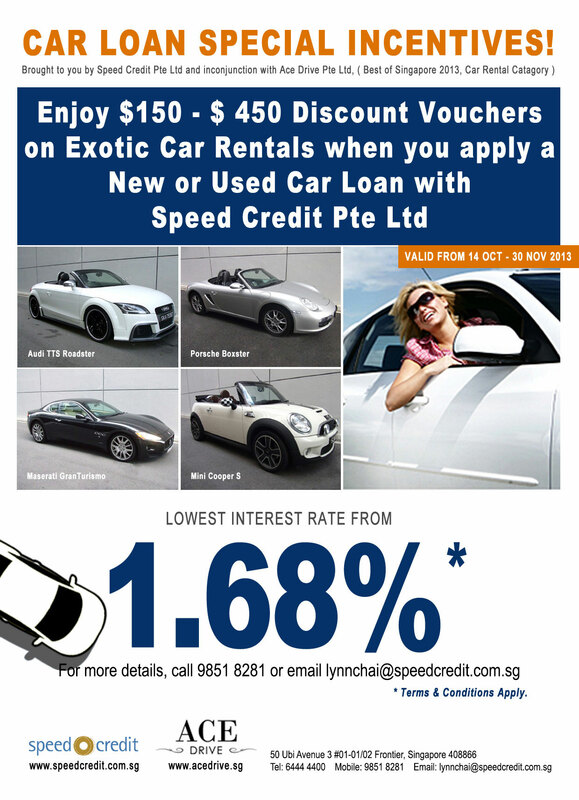 If you’re looking for a hassle-free way of getting a cheap used car loan or second hand car loan in Singapore, Speed Credit can help. Through our used car loan you do not only get a high chance of getting an approval but also save a lot of money by paying a much lower monthly installment compared to a regular one. At Speed Credit, we make sure that you get the cheapest second hand car loan that is suitable to your needs. Speed Credit’s used car loan service is FREE. Yet, you can expect to get fast approval from your preferred banks or to our 13 bank partners in Singapore. All the banks and LTA documentations and transactions are handled by us, so you no longer need to worry about anything at all. Additionally, we act as a third party between buyers and sellers, thus both parties will have the confidence and peace of mind on all used car sale agreements and other financial transactions. In order to bridge the gap between car buyers and sellers in Singapore, Speed Credit tailored a loan matching program that will benefit both parties in terms of car loan packages and smooth transfer of car ownership. Read more to know some of the benefits that each car buyers and sellers can get through this program. Best used car loan packages that can perfectly match your financial needs. Car sellers are assured that their buyer’s car financing is taken care by our finance specialists, thus will help avoid any unnecessary delays in the selling process. Our fastest approval time is within one working day (provided that all requirements and details were given accordingly. )This would help dramatically by reducing the potential fluctuations which may affect the selling price should the loan be rejected. We will act as a third party to assure the car seller that the car buyer’s loan has been approved, thus the car seller is assured the car buyer is genuine & have the capacity to buy his car. Call us at +65 6444 4400 to speak to our car finance representative. Alternatively, you can simply fill out our used car loan form here for a much faster processing. Once all documents are completed, we will submit your used car loan application to your chosen banks or to our bank partners. Once your used car loan application is approved, our car finance specialist will contact you for further instructions. From 1.68% p.a. *Terms & Conditions apply. Please click here to see our non-promotional used car loan interest rates. Thank you. For more information about our used car loan service, you can contact our friendly car finance specialist, Lynn Chai at +65 9851 8281.